I have an excellent method of working with paper and pen. Why should I switch to something new? How can the system increase profits? A. Customer retention – When customers and their preferences are remembered from a previous visit, they are satisfied customers, meaning customers that will come back again. A host/hostess who already knows at the reservation stage to mention a customer's culinary preferences, food allergies or favorite table, has already won the customer over. The customer will feel wanted, and will bring friends along. B. Seating efficiency – Mostly, even when the restaurant looks full you can manage to arrange additional table by reorganize the restaurant's tables. Restorun 2.0 makes it possible to follow after the tables capacity and move reservations from one table to another. By doing so those tables are earned and the restaurant's profit is increased. Restorun was established at the end of 2004. The restorun 2.0 product, in its current version, was already installed in restaurants at the beginning of 2005. Does the program include a customer database? One of the main benefits of the program is its built-in customer database. Over time, every customer accumulates statistics regarding arrivals, cancellations and non-arrivals at the restaurant. This information is displayed in the customer record in addition to personal details, which include permanent notes about the customers such as what they like to eat or where they like to sit, whether they are a friend of the manager or a VIP customer. Right when a customer calls to reserve a place at the restaurant, the host/hostess sees who is on the phone and what their history at the restaurant is, enabling the provision of better service to the customer. Taking reservations via the Internet? How does this work? The customer enters his request into the ClickATable Internet application, which interfaces directly with the restorun 2.0 system at the restaurant. The customer's reservation is automatically recorded in the restorun 2.0 system without any need for involving the host/hostess. The tables that are reserved for the customer's reservation are chosen according to definitions defined in the system and which are changeable. Can I control the number of reservations taken via the Internet? Certainly. And not only the number. For every table and every area, you can determine whether or not Internet reservations can be accepted, and at what times. From where on the Internet can someone reserve a place at my restaurant? The system can be integrated on any Internet site For instance: your site, restaurant portals, and more. In addition, the link can be embedded in an email message – a particularly efficient tool when you operate a customers club. 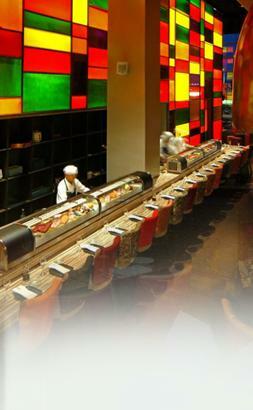 You can find all the restaurants which enjoy the on-line reservations service at www.ClickATable.co.il. Can reports be printed with the system? Yes. You can print a reservation report for various dates and statuses, as well as a customer report including details about the customers, their total arrivals at the restaurant, etc. You only need to connect a printer, and print. Can I manage a waiting list? The system provides an interface for managing two waiting lists: A. List of reservations taken by phone call in advance and had no place. B. Door waiting list – list of random costumers waiting at the restaurant door to available seat. When there will be available table the system can locate one and the costumer can be seated. Can tables be moved from one place to another on the screen? Always. You can temporarily move the tables for a specific shift, event or for any other reason. You can also define until when that table should remain in its new position, and at the end of the allotted time, the table will jump back to its original position. Where can I get more information on the product? We would be happy to send you more details, and even to arrange a demonstration with no obligation. please contact us.